Australia loves its sporting heroes, and this month athletes of a different kind will arrive on the Gold Coast for Australia’s most inspirational sporting event – the Australian Transplant Games. To celebrate the Australian Transplant Games, which promotes the need for more Australians to register as organ donors, four Queensland Olympians have accepted roles as Ambassadors of the 2018 Games. The Australian Transplant Games are the country’s largest sporting event for transplant recipients, this year held on the Gold Coast. They unite recipients, donor families, healthcare professionals and supporters from across Australia for a week of activities and sport. They also provide a chance for recipients to say ‘thank you’ for the gift of life. 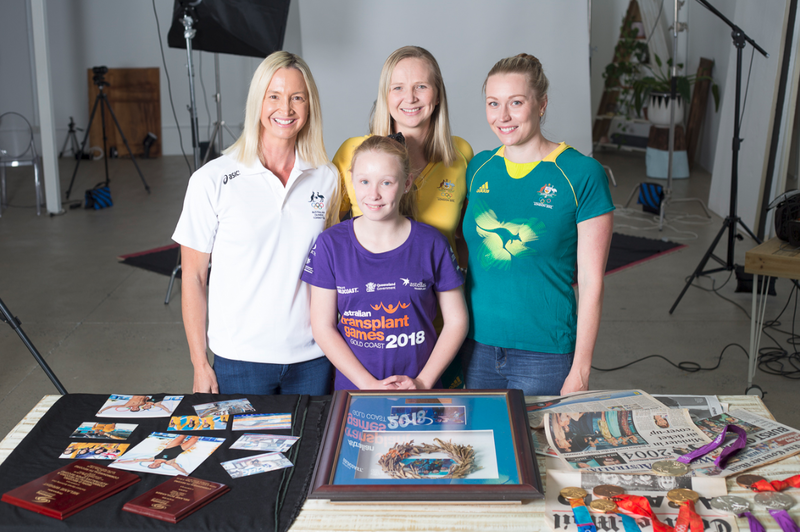 The Olympians – swimmers Brooke Hanson, Melanie Schlanger (now Wright) and Alice Mills (now Tait), and weightlifter Damon Kelly have spoken of their ‘hero’ status in a new Community Service Announcement (CSA) released for the Transplant Games. The CSA, entitled ‘be a hero for someone else’, was unveiled on Thursday, September 6 at a special Queensland Parliament launch led by Queensland Sports Minister, The Hon. Mick de Brenni. Alice Mills is the guest speaker at the launch. Since retiring from competitive swimming she has finished her nursing degree and is now a theatre nurse at Brisbane’s Lady Cilento Children’s Hospital and sees both sides of donation and transplantation. Also featured in the CSA is 12-year-old Ellie McCarthy who received part of her mother’s liver in 2011. Ellie’s Mum, Angela, said the liver transplant had transformed her daughter’s life. Ellie is now looking forward to participating in the 3km run, 100m and 200m sprints, long jump and shotput at the Games. The Australian Transplant Games, which will be held on the Gold Coast from September 30 to October 6, will be attended by more than 700 competitors, supporters and volunteers. The Organ & Tissue Authority is the Major Sponsor of the Australian Transplant Games. The Queensland Government is the Platinum Sponsor and the Gold Coast is the Host City.